Catherine’s Dance Studio offers a versatile mix of dance classes for dancers ages 3 to 18 in our downtown Parkville location. If a student is 3-7 years old and has not taken dance previously, we recommend starting with Pre-Ballet or Ballet. The techniques learned in Pre-Ballet will give a younger dancer a solid foundation for all the other types of dance, not only Ballet but Point, Leaps and Turns and any Master Class. A solid pre-ballet and ballet background gives a dancer the grace and body movements that are the foundation for all types of dance such as jazz, tap, and hip-hop. Having a good foundation in ballet lays the groundwork for dance. Your class will have 10-15 students. We believe that a smaller class with more individual attention is the basis for developing good technique. Our schedule is found on our Class Schedule page. To sign up for classes call our studio at (816) 214-7370. Our enrollment process is very individualized. 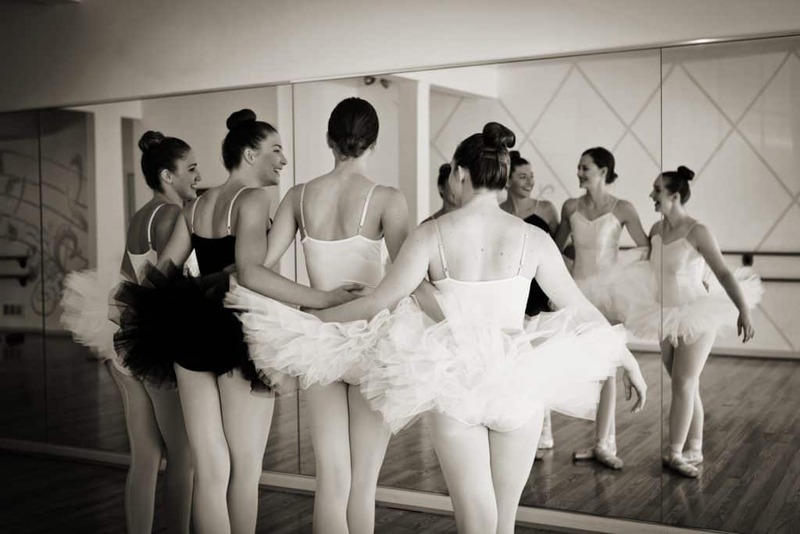 We make sure that each dancer is in a class that is best suited for them. We encourage you to try one of our dance classes. We can help you choose a class to try that you might like! Contact Us or call (816) 214-7370 if you’d like to try a class.